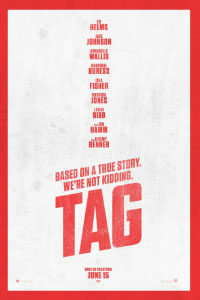 Tag, not to be confused with the bloody 2015 movie of the same name in which a Japanese schoolgirl discovers she’s a character in a video game, is a based-on-a-true-story comedy about a group of friends from Spokane, Washington, famous for playing a game of tag for an entire month each year since childhood. Featured in a 2013 article published by The Wall Street Journal, the real-life friends, ten white men in their forties, kept young at heart by living their motto: “We don’t stop playing because we grow old. We grow old because we stop playing”—a saying the movie misattributes not once but twice. Written for the screen by Rob McKittrick and Mark Steilen, Tag places the viewer in the midst of a tight-knit boy’s club, while the real-life group’s exclusion of women or persons of color is offset here with some tokenism. Despite some funny antics along the way, the viewer feels like an outsider looking in at people who are clearly having more fun than we are watching them. Our entry point into this no-girls-allowed game is Rebecca (Annabelle Wallis), a Wall Street Journal reporter who intends to interview a healthcare CEO, Bob Callahan (John Hamm), and in the process learns about this lifelong game among five friends: Hoagie (Ed Helms), a successful doctor and family man whose wife, Anna (Isla Fisher), brings intense encouragement to the game despite not being allowed to play. Chilli (Jake Johnson), a recently divorced pothead, lives with his father (Brian Dennehy). Sable (Hannibal Buress) seems to be having an unresolved existential crisis, allowing the character several hilarious one-liners. And then there’s Jerry (Jeremy Renner), who has never been tagged “it” over the years, given his physical speed and wily nature. 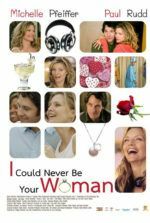 The movie’s plot involves Hoagie convincing the others to work together to finally tag Jerry, who’s getting married (to an abrasive bridezilla played by Leslie Bibb) and thus will be unable to defend himself at all times. Upon learning about Hoagie’s plan to tag Jerry, Rebecca insists on observing the game for her story—and the character remains never more than a narrative device to ask questions about the game’s rules and the nature of this long-lasting friendship. Much like Rebecca, the audience remains on the periphery, watching others have a swell time as they attempt to corner their elusive friend. Their five-way bromance is enjoyable, in a way, although the movie sometimes plays like a series of inside jokes and emotional bonds that the script, beyond friendly jocularity and ribbing, doesn’t support. Consider the underdeveloped subplot with Bob and Chilli’s mutual affection for the same adolescent crush, Cheryl (Rashida Jones), a romantic strain that goes nowhere. But being rated R, plenty of profanity and off-color humor makes Tag perhaps less conventional than the above plot summary may seem. 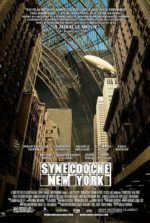 An elaborate scene involving a comic miscarriage (an oxymoronic notion to be sure) and another sequence, featuring a riotous cameo with Thomas Middleditch (from HBO’s Silicon Valley), test the seeming good-naturedness of the movie. Nora Dunn also has a small but amusing role as Hoagie’s mother, whose raunchy flirtation with Chilli offers some cringe-tastic moments. Watching this group of talented and funny performers engage in outlandishly staged bursts of the titular game is entertaining, and first-time director Jeff Tomsic keeps energy levels high. But at some point, Tag takes the game either too far or not far enough. Jerry, for instance, sees his opponents’ maneuvers and attacks in slow-motion beforehand, and then, through voiceover—recalling the same gimmick used by Robert Downey Jr. in his Sherlock Holmes movies—announces his strategic response before carrying it out. Jerry also creates elaborate traps for his friends, including one scene where a log swings from a tree and slams Chilli in the chest (Chilli should be dead; instead, he has a temporary knee injury). Aside from some twists in the third act, the game is only moderately engaging. One could imagine another version of Tag in which the outlandishness of the game reaches cartoonish levels, and the players take on the roles of Looney Tunes. But the material remains fixed in the dull order of movie realism, the sort where this group of fun-loving guys never has to answer for their public disturbances or the property damage they cause. Is there a lower point in the movie than watching these middle-aged men chase each other on golf carts? Regardless of the movie’s attempt to amp-up the stakes with a dramatic turn near the finale, Tag remains mostly forgettable, yet appreciable for its silly humor and occasionally exaggerated characterizations. Fisher is particularly funny as the overly competitive outsider who suggests waterboarding at one point to discover Jerry’s location. 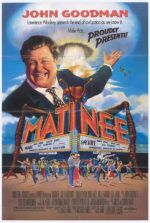 Most of the humor, though, is of the recent ilk that obviously relies too much on the actors’ ability to adlib on the set, resulting in the far-too-common riffing quality among modern comedies. Elsewhere in the movie, there’s a character named Louis, played by Steve Berg, an awkward guy with a lisp and a bushy red beard who wants nothing more in life than to join the game. The group berates him and refuses to let him join their reindeer games, and the audience, too, is meant to laugh at poor Louis. But at times, the viewer will identify with Louis, as it’s probably more fun to play tag with friends than it is to watch others play it.